NEW! FRONT: The strength on which we can draw is limitless. 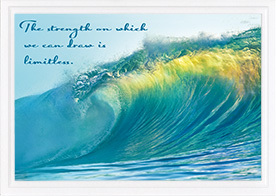 INSIDE: "May you be strengthened with all power ... so that you may endure fully with patience and joy. 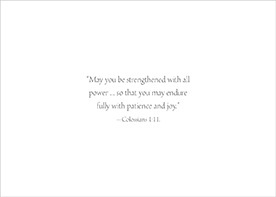 "-Colossians 1:11.